Find your place within your life’s roles and relationships, leading you to explore what life really means to you and helping you find the joy that’ll keep you going. Debra's FREE Gift to You! Debra helps entrepreneurs & individuals in transition get unstuck so they can live life with more purpose, clarity and abundance!! Debra is the author of the forthcoming book “Personal & Business Success through the 7 Gateways – Spiritual & Practical Tools for Crafting Your Life from the Inside Out”. 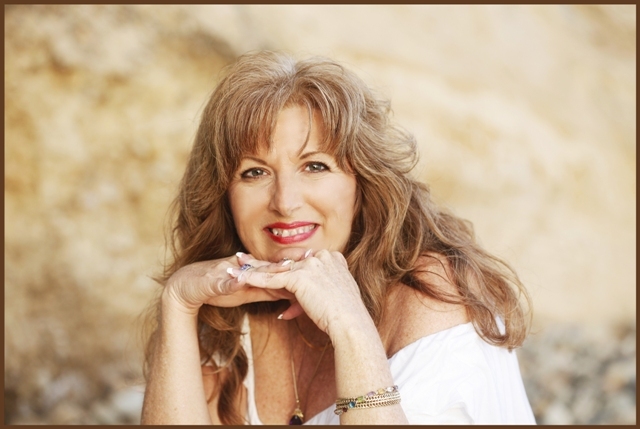 She has a unique approach in that she combines her intuitive healing energy work with practical personal and business application. Debra helps people in transformational one-on-one energetic healings, coaching and in her workshops. Debra is a Personal and Entrepreneur Coach with proven strategies to take you and your life to the next level, including the latest innovations in self-empowerment, mindfulness, health and wellness. Debra’s 7 Gateways to Success system will help you become the extraordinary individual you are meant to be and take a big leap in your success. Debra Guttas will help you make a positive and powerful impact on the world with your talents and find new inspiration and motivation. Her 7 Gateways to Success Program is a completely unique and proven system that she has strategically developed from her own life and in-depth business experience. Debra can help you to reach your personal and business goals and create the life of your dreams! She personally teaches you the formulas she has used in creating success and prosperity in the business world while enjoying fun and love in her personal life. Debra has built 4 successful businesses and coached many clients to build successful companies and create financial prosperity. She will teach you to do same. Debra Wilson Guttas has over 20 years as a coach, Reiki Master, speaker and author. She has a unique approach in that she combines her intuitive healing energy work with practical business application. Her unique approach goes to the deeper issues of why you are where you are, so that you can move beyond them once and for all. She combines practical tools while at the same time preparing you to embrace your next phase in life. In her many years of working with clients she’s found that there are usually deeper issues that underlie why you are where you are. If your life or business is just not going the way you want it to, or you see yourself repeating the same patterns throughout your life, and you’ve just been trying to cope with it all, you may be managing it, but you’re not really getting at the core of why you are where you are. It’s similar to taking an aspirin to deal with a physical pain. If you don’t get at what is causing the pain, all you’re doing is masking it, temporarily. You can stay where you are and keep trying to cope with your life as it is. Or you can let Debra and her proven system help you! To her credit, she is past Vice President of the Sacramento chapter of the National Speakers Association and she has presented keynotes and workshops for corporations and associations such as Hewlett-Packard, American Society for Training & Development (ASTD), Soroptomist, Society for Technical Communication and The Association of Professional Directors, just to name a few. Her mission is to empower individuals, like you, to become more conscious and aware of your self-limiting beliefs and patterns and to provide you with easily-accessible tools to make shifts in your life so you can live life with more purpose, clarity and abundance!